Asian Activities Report for August 12, 2011 includes: Newly ASX-listed rare earths company Strategic Elements Limited (ASX:SOR) has expanded its search for rare earths and rare metals to Ireland; Dragon Mining Limited (ASX:DRA) has received the first results from the drilling campaign on the Hangaslampi gold deposit in northern Finland; Canyon Resources Limited (ASX:CAY) has entered into an agreement to purchase the Wilier Project in eastern Burkina Faso; Whinnen Resources Limited (ASX:WWW) has commenced its maiden drilling program at the Nany-Varas gold project in Northern Chile; Piramal Healthcare (BOM:500302) and Vodafone Group (LON:VOD) announced that Piramal has agreed to purchase approximately 5.5% of the issued equity share capital of Vodafone Essar Limited. 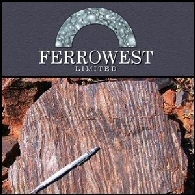 Asian Activities Report for April 27, 2011 includes: Ferrowest Limited (ASX:FWL) has completed 1,250 metres of drilling on the Yogi tenements within the Yalgoo Iron Project in Western Australia; Whinnen Resources Limited (ASX:WWW) updated on the acquisition of Chilean copper projects; Sherwin Iron Limited (ASX:SHD) raised A$8.5 million to accelerate the Roper River Iron Ore Project in Northern Territory; West Peak Iron Limited (ASX:WPI) has been granted three iron ore licences in Liberia. 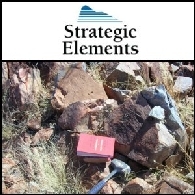 Whinnen Resources Limited (Whinnen, the Company) (ASX: WWW) is pleased to announce that it has entered into a conditional agreement to acquire 85% of the Fongo Tongo Bauxite Project in the Republic of Cameroon in Africa, for a total consideration of US$8 million.